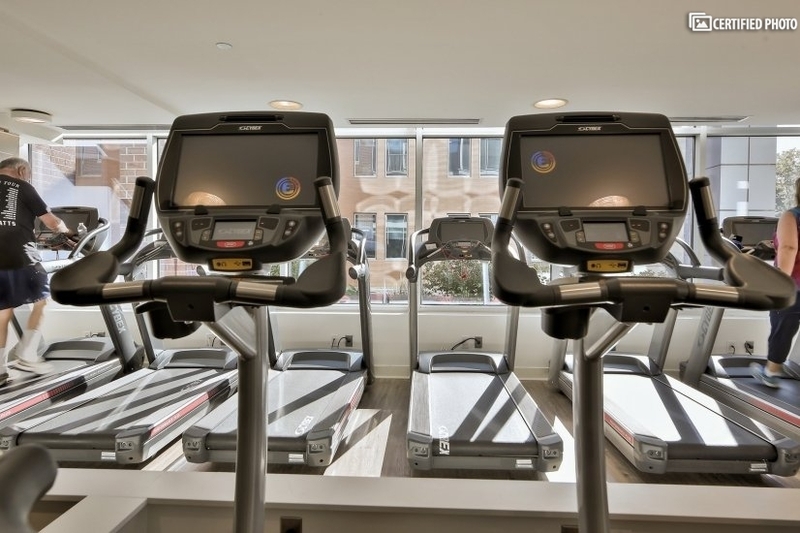 Rate can vary depending upon the length of lease. 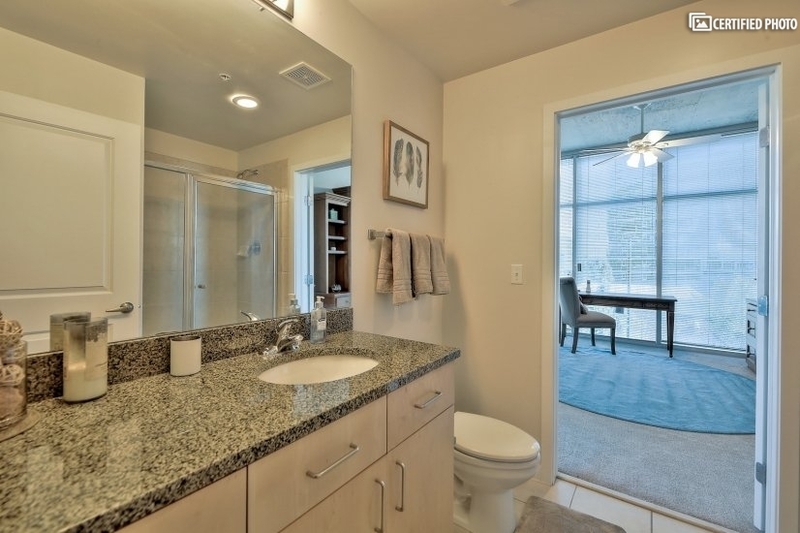 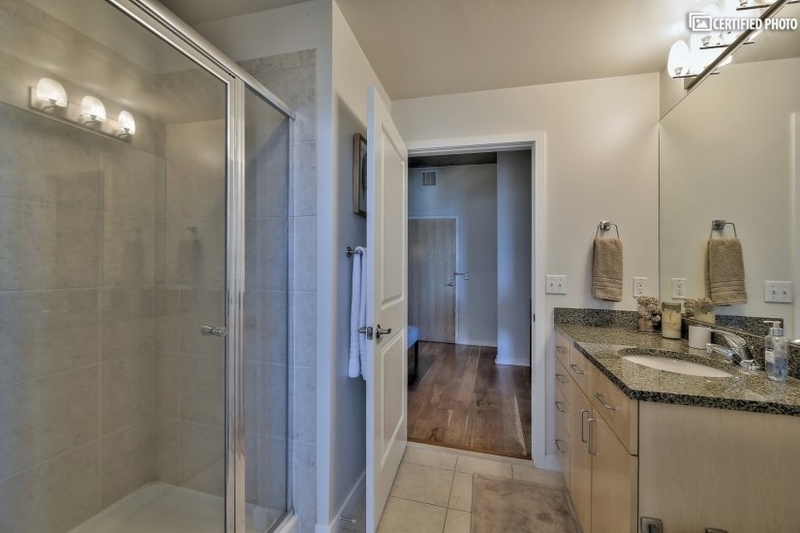 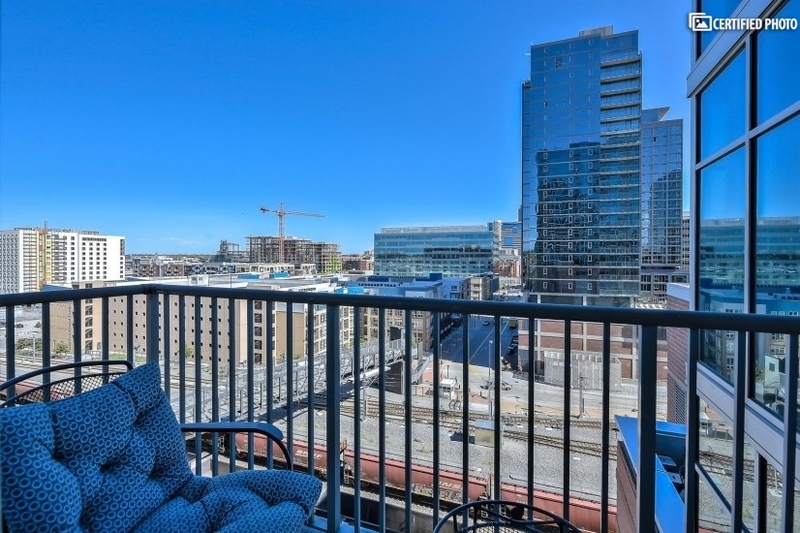 This upscale executive furnished rental sits at what is easily one of the most central and desirable locations in Denver. 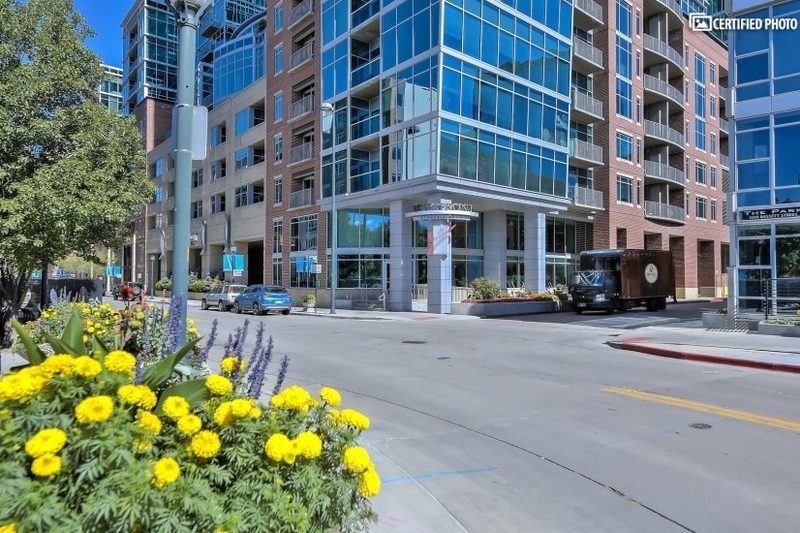 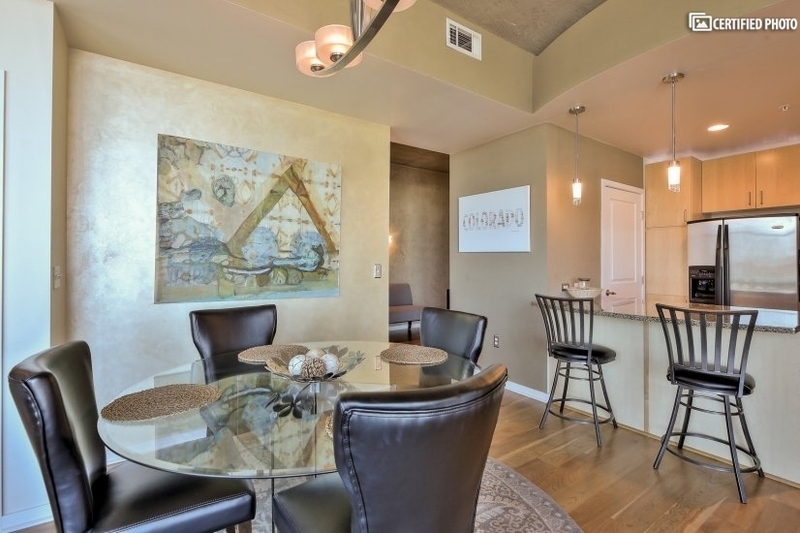 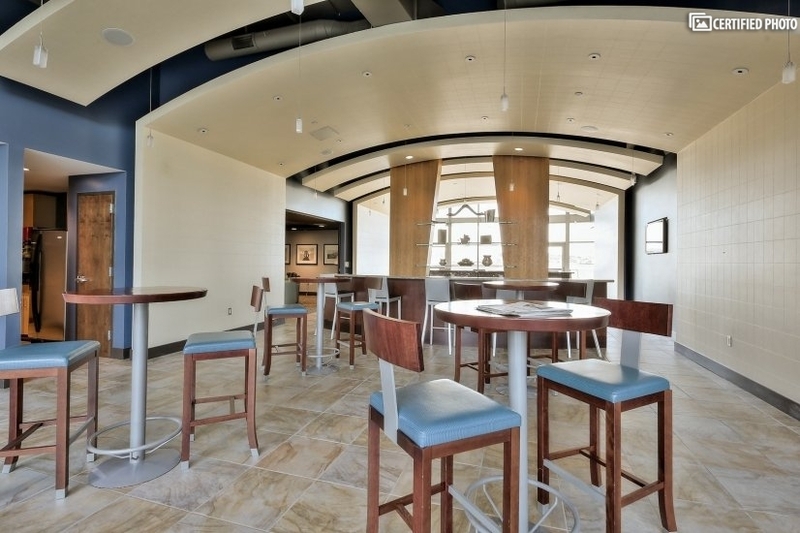 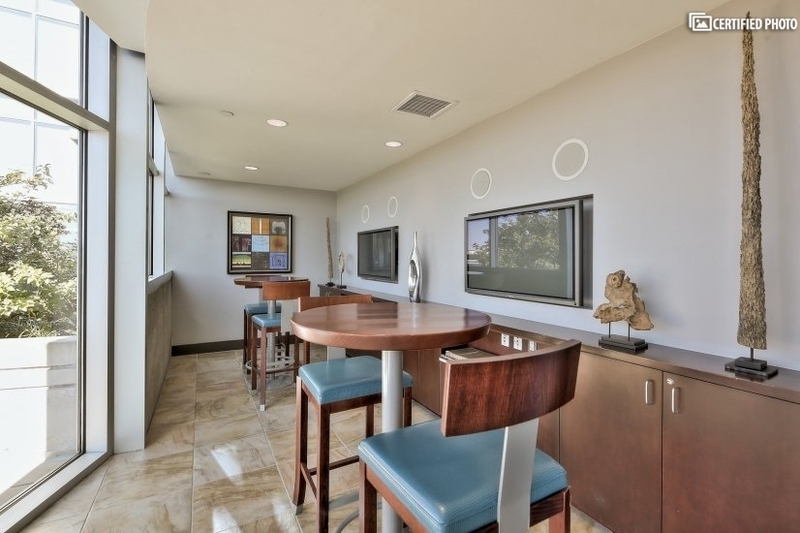 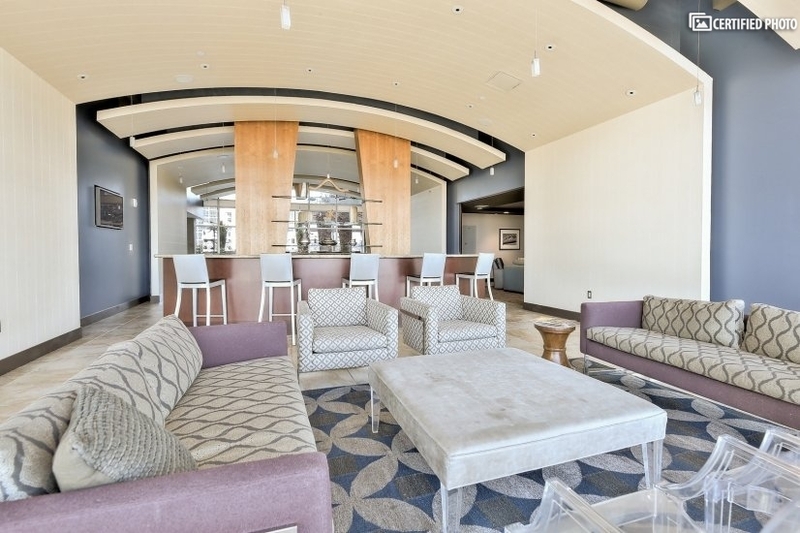 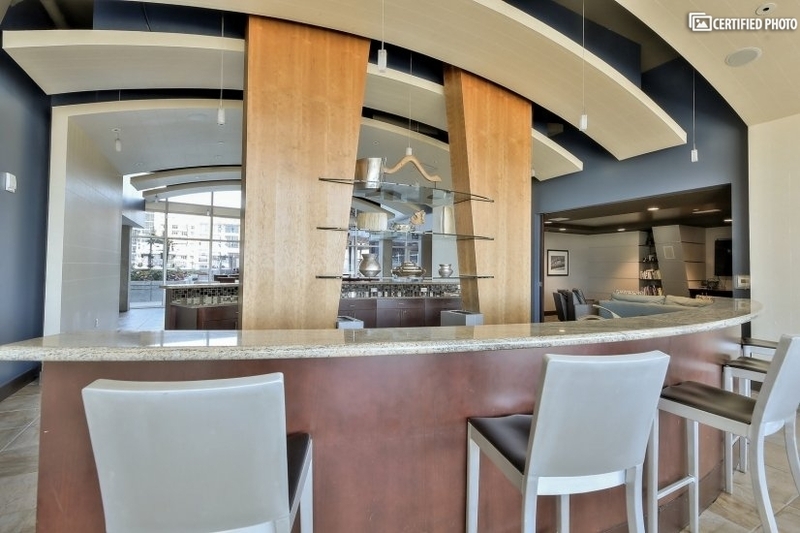 Just steps from some of the hottest shopping, dining and entertainment venues, this downtown Denver corporate housing overlooks the river, Commons Park, the downtown area, and the famous Coors Field. 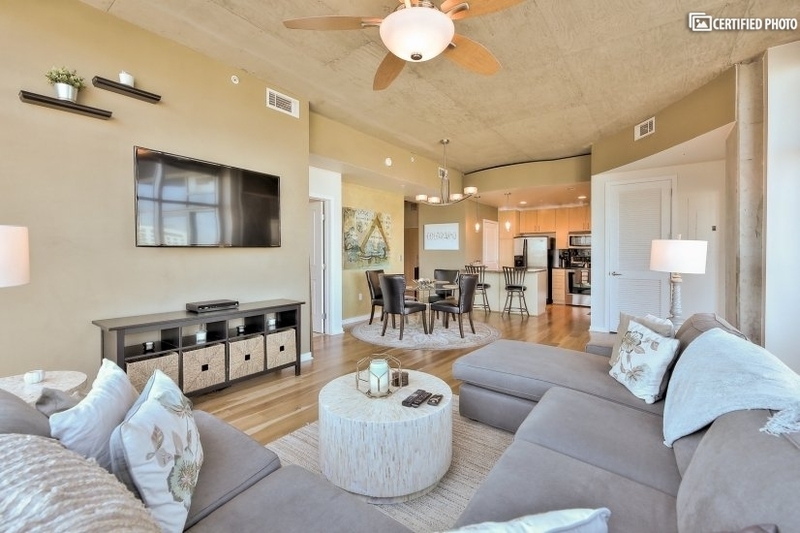 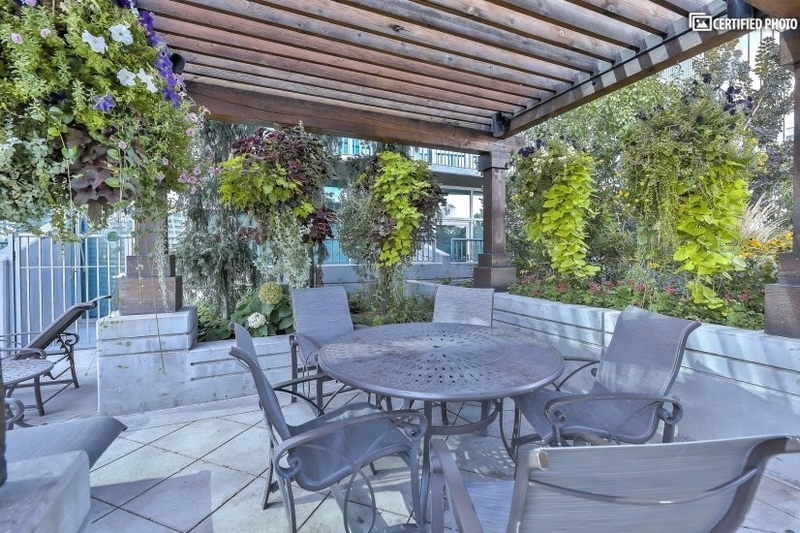 Not only is this upscale executive furnished rental in one of the best spots for those visiting the area for a long-term vacation, but its position also makes it one of the best spots for those staying in the city on an extended business trip, relocation, or even for educational or medical reasons. 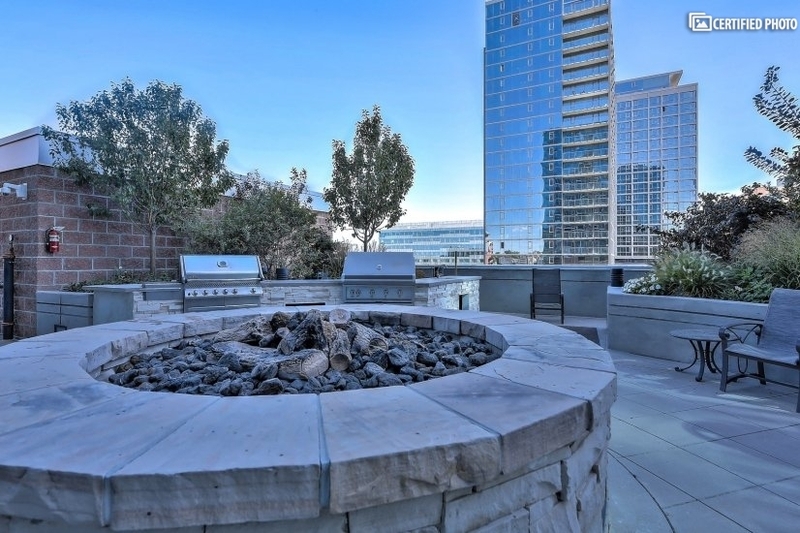 With its high walkability score, it is also ideally located for those who need to head in any direction outside of the downtown district. 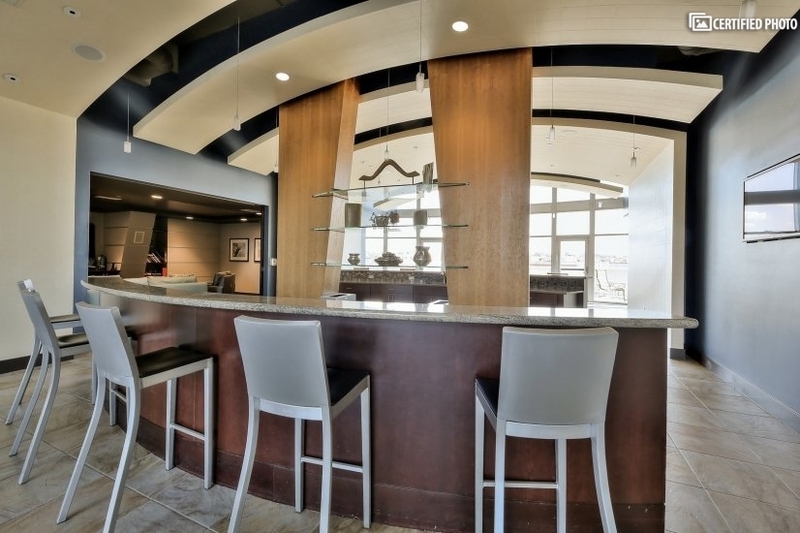 Whether you must head to Aurora, Boulder, or remain in the city, you can quickly hop on any of the major highways. 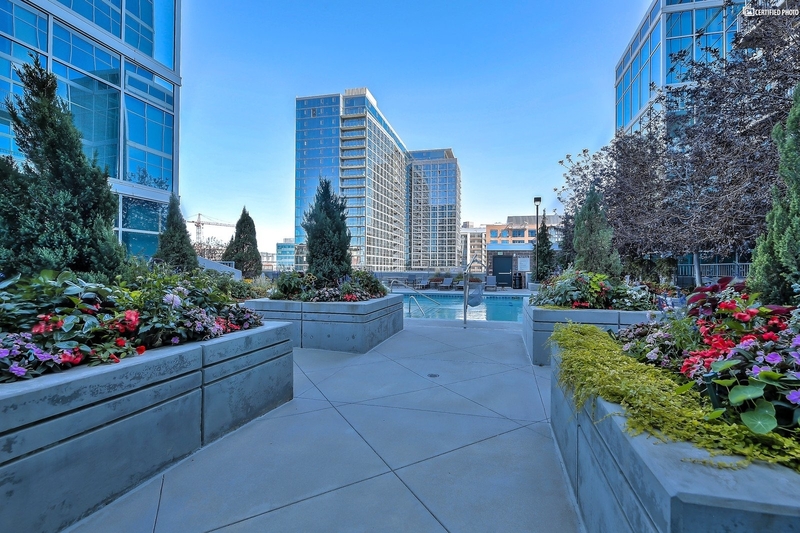 Reach headquarters for Lockheed Martin, Comcast, Liberty Global, Oppenheimer Funds, or any of the other dozens of corporate locations in the metro area. 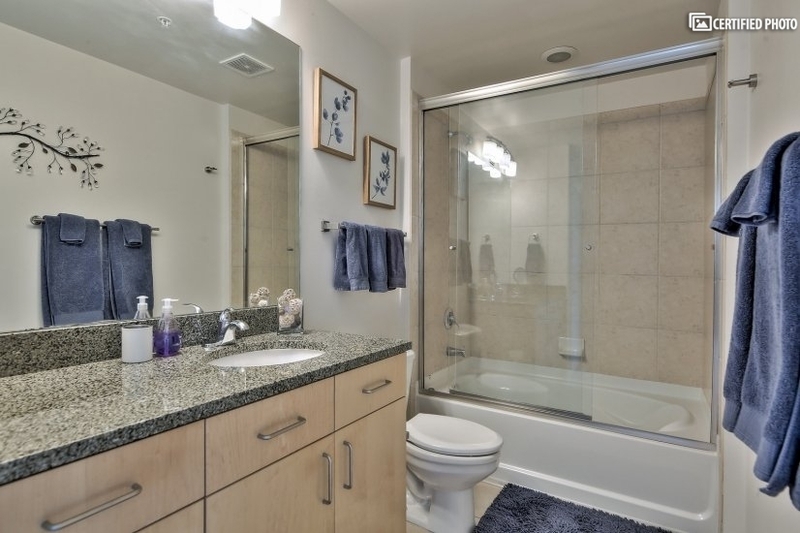 You are in easy reach of the universities, hospitals and healthcare centers as well as the massive airport just outside of the city. 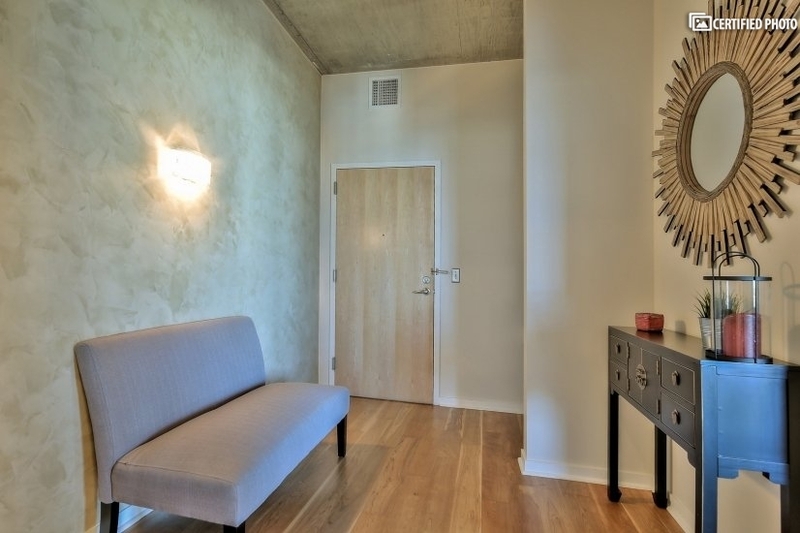 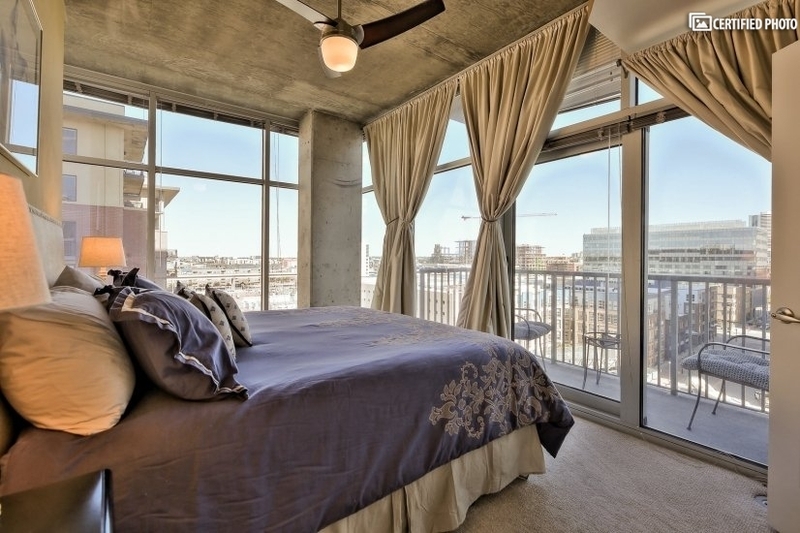 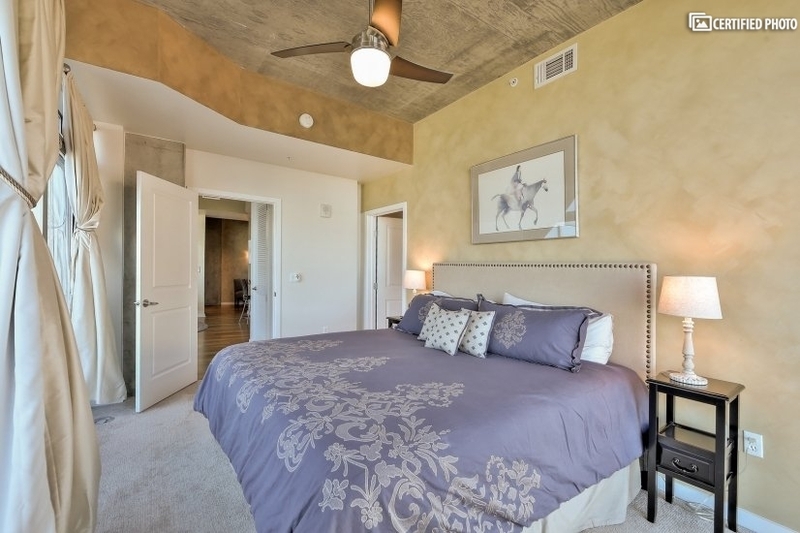 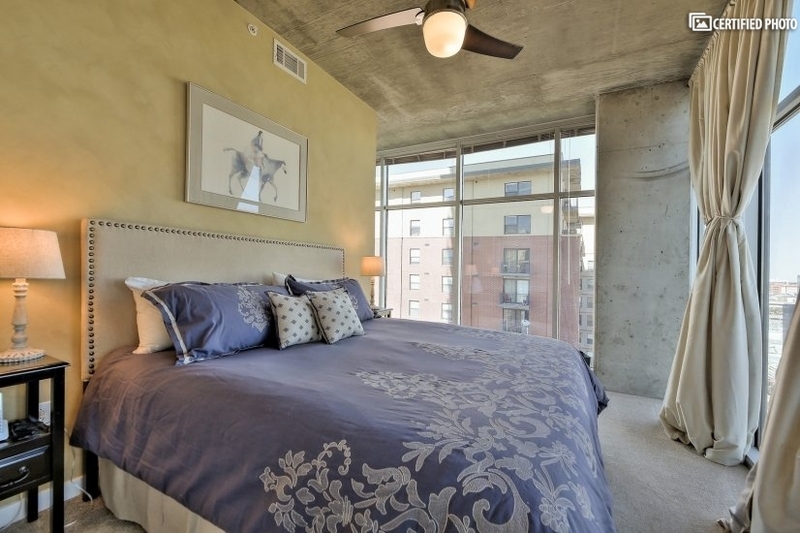 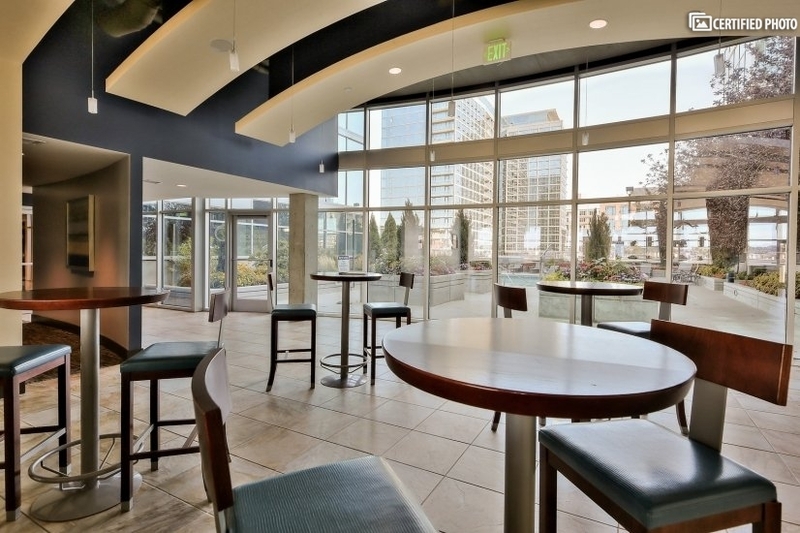 This downtown Denver corporate housing is also an ideal choice thanks to its esthetic appeal. 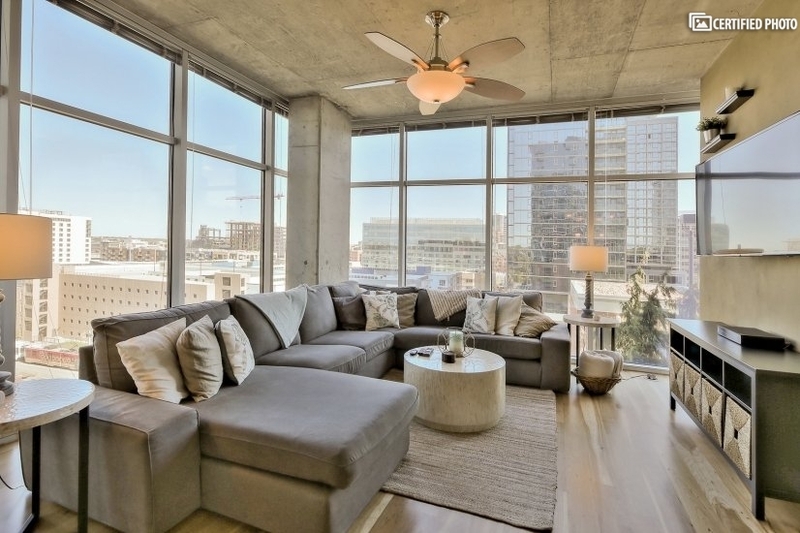 The stunning glass front of the exterior translates to bright and airy interiors. 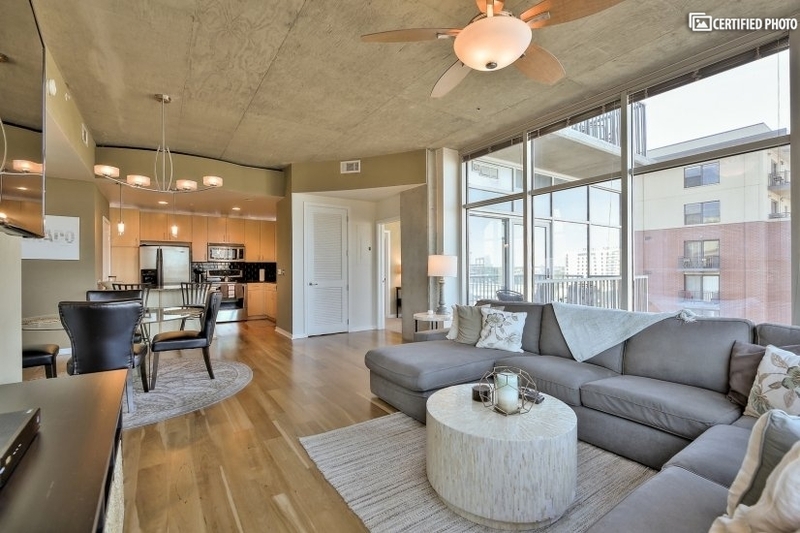 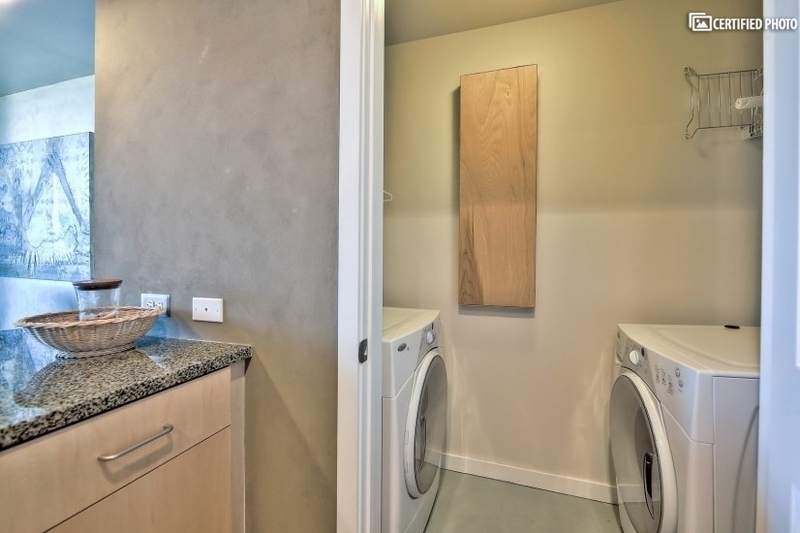 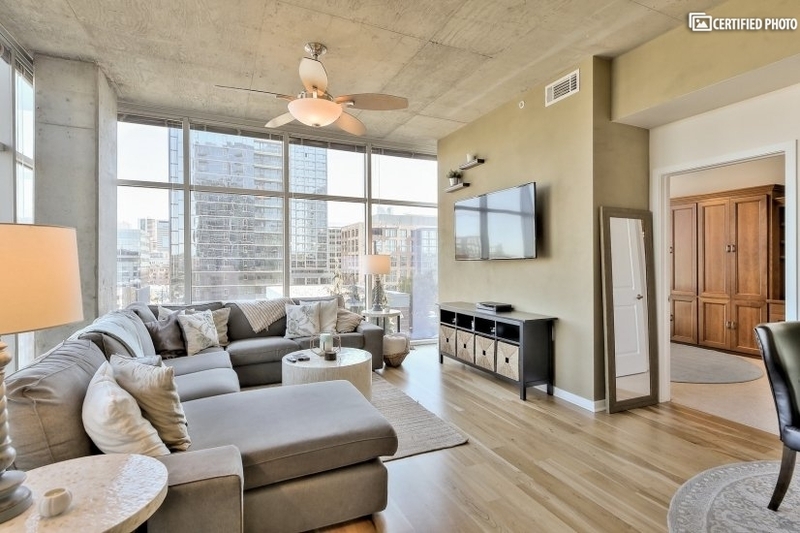 This two-bedroom, upscale executive furnished rental translates all of the natural light into one of the most appealing living spaces imaginable. 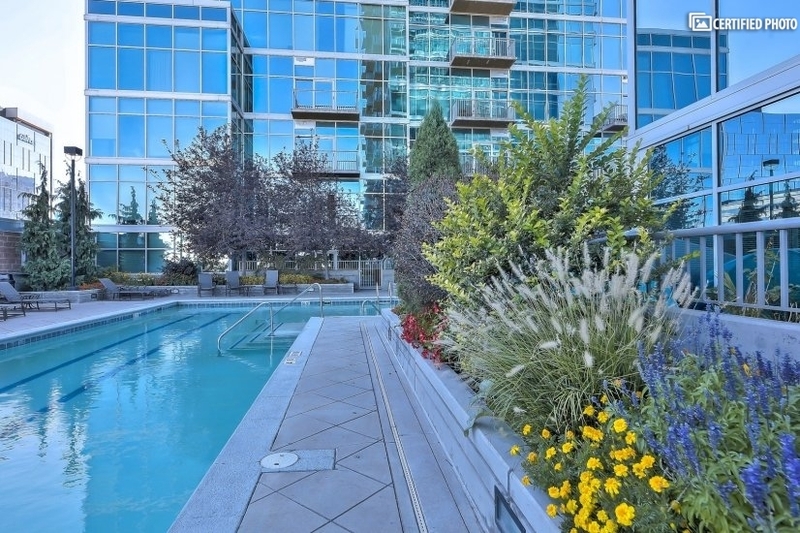 From your roomy foyer with its generous storage and closet space to the show-stopping living room with its floor to ceiling windows that gaze out to some of the city’s finest views, you just won’t be disappointed. 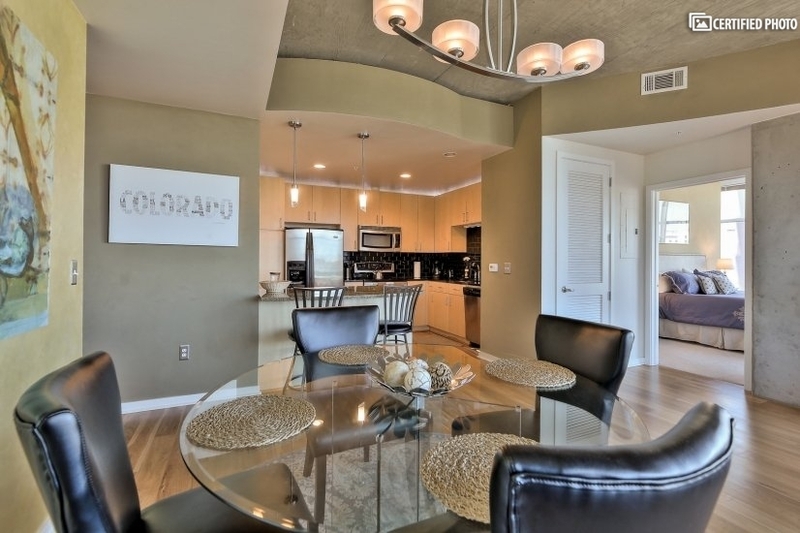 Furnished beautifully, it uses a natural palette of sand and seagrass hues throughout. 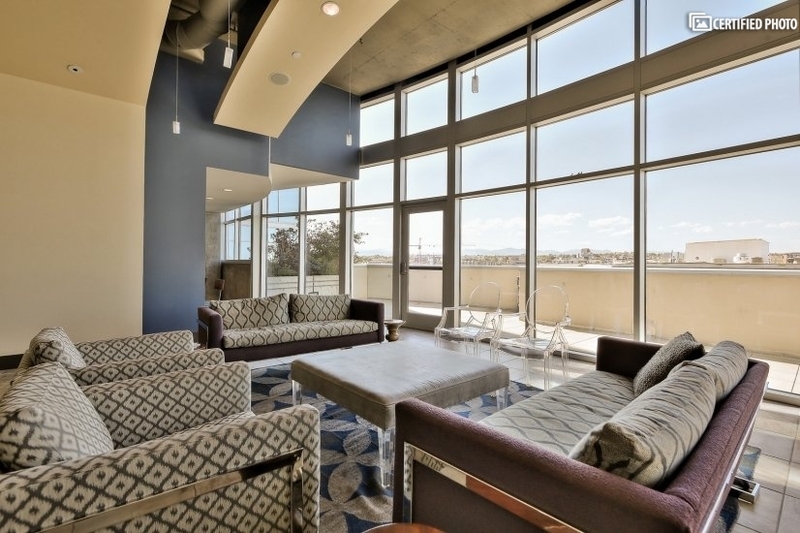 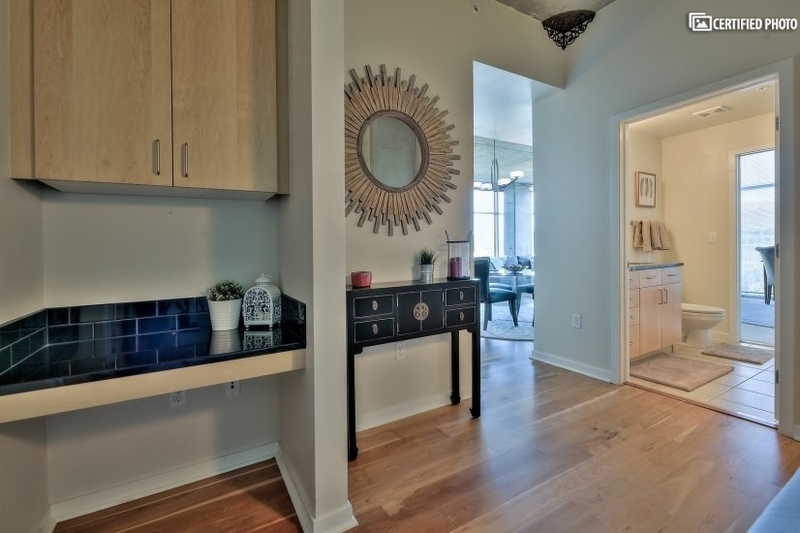 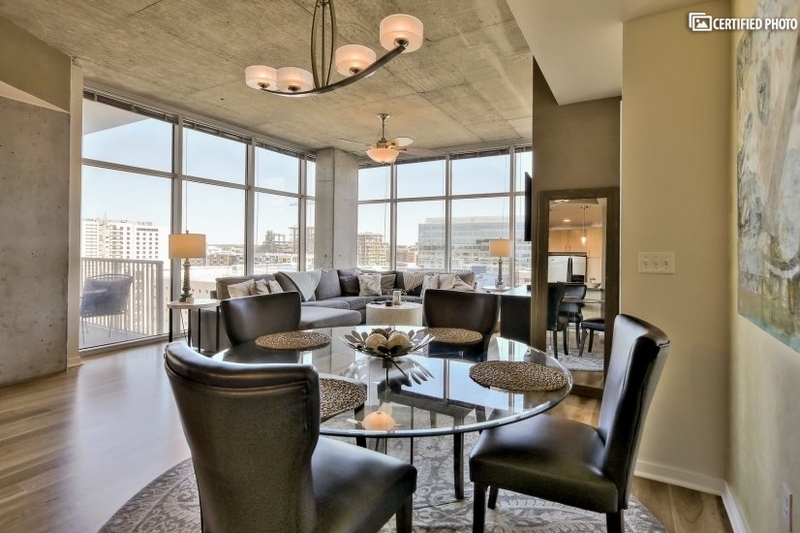 The décor provides a contemporary and yet soothing and welcoming setting whether you are in the living room of this downtown Denver corporate housing, the right and open dining room or the modern kitchen. 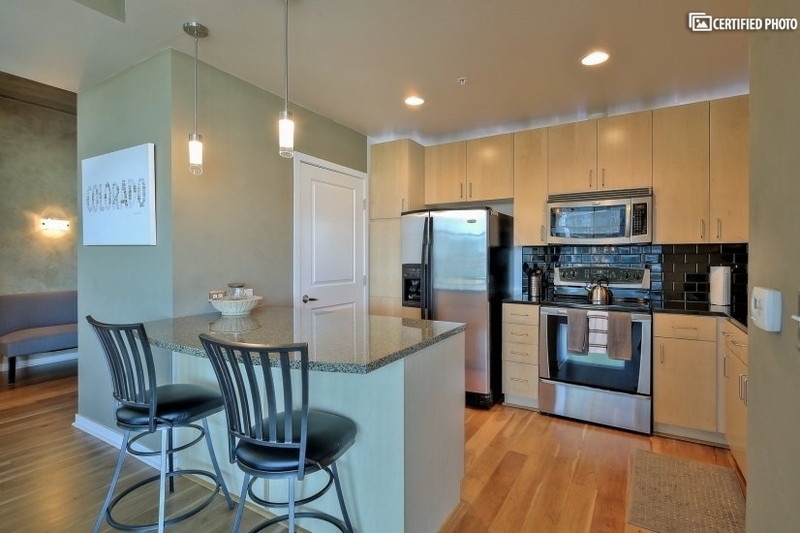 Facing into the main living area, it has all you need to make even complex meals. 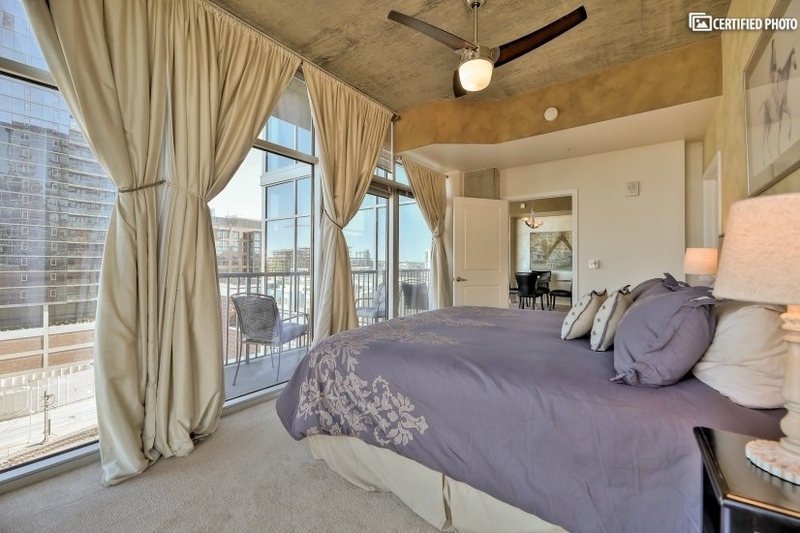 The master suite also gazes out to the views and feature a large and private terrace and separate bath. 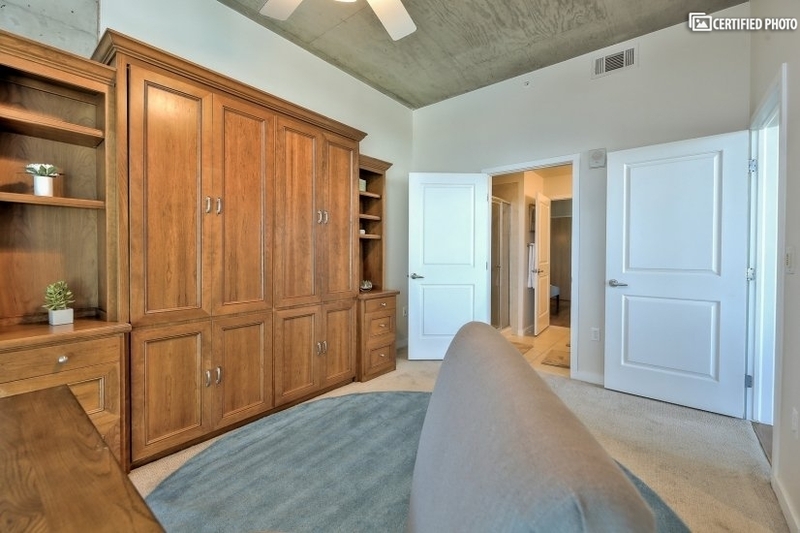 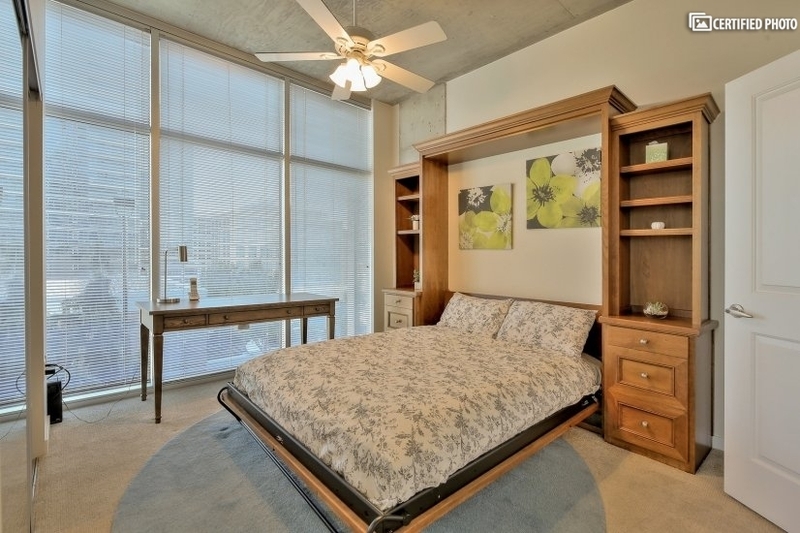 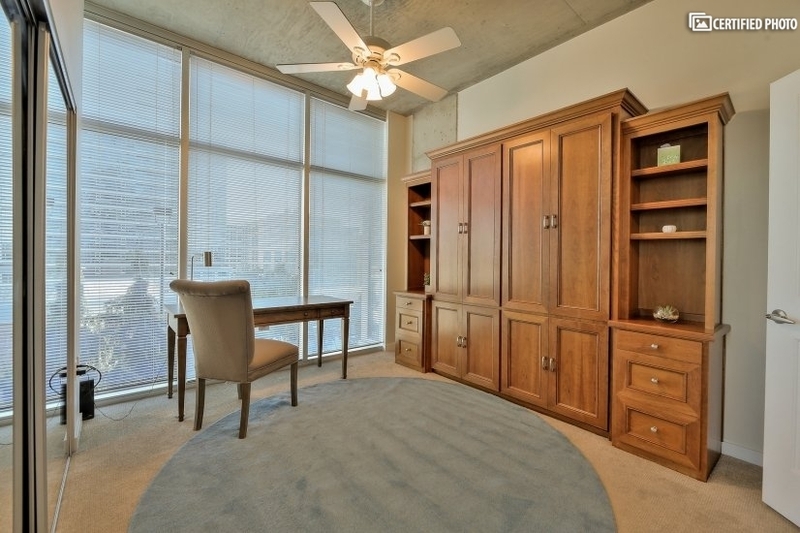 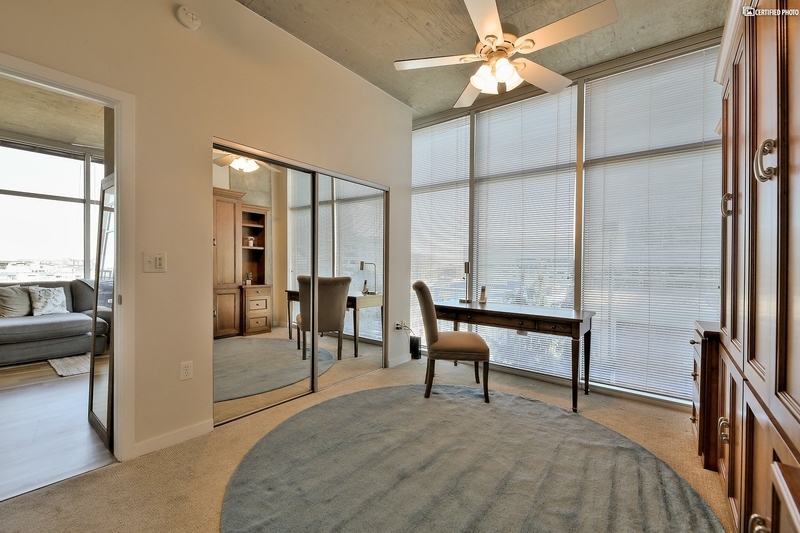 The second bedroom is an ideal office, but if you need room for two, this room turns your upscale executive furnished rental into a two-bedroom space easily thanks to its Murphy Bed! 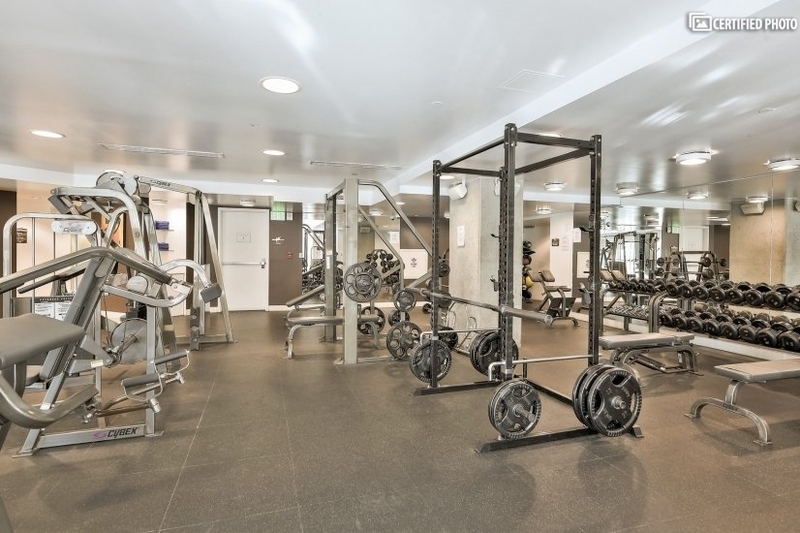 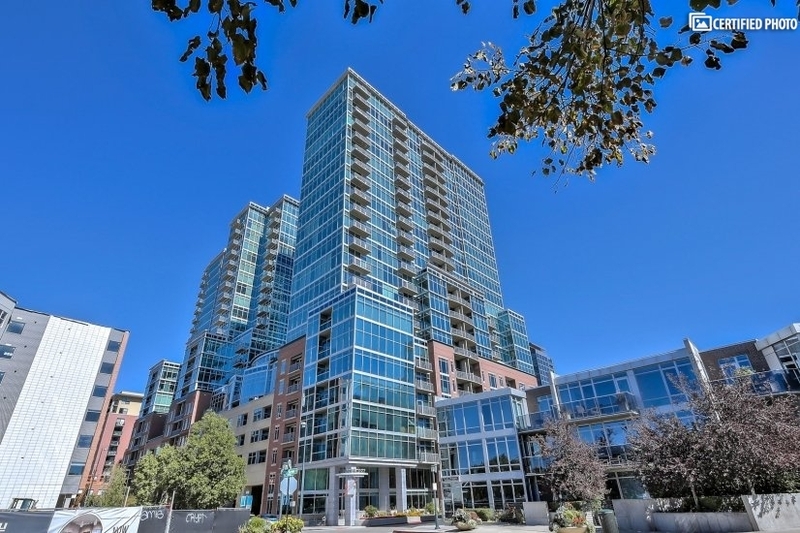 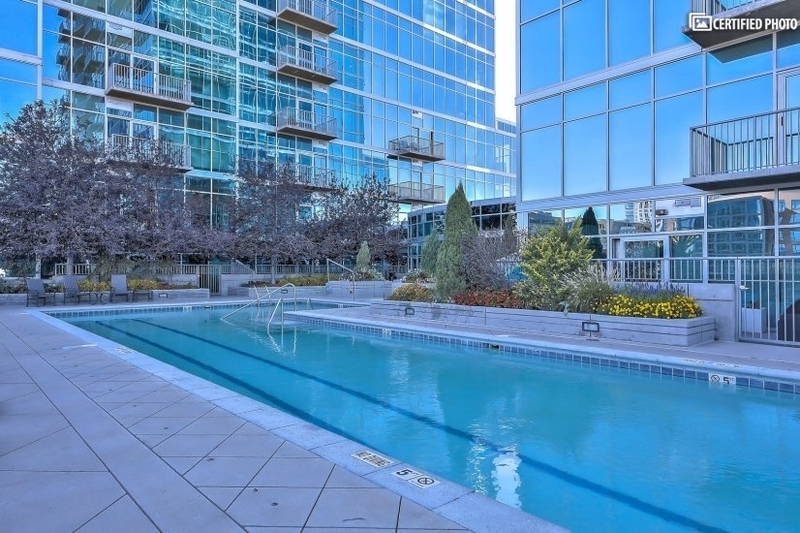 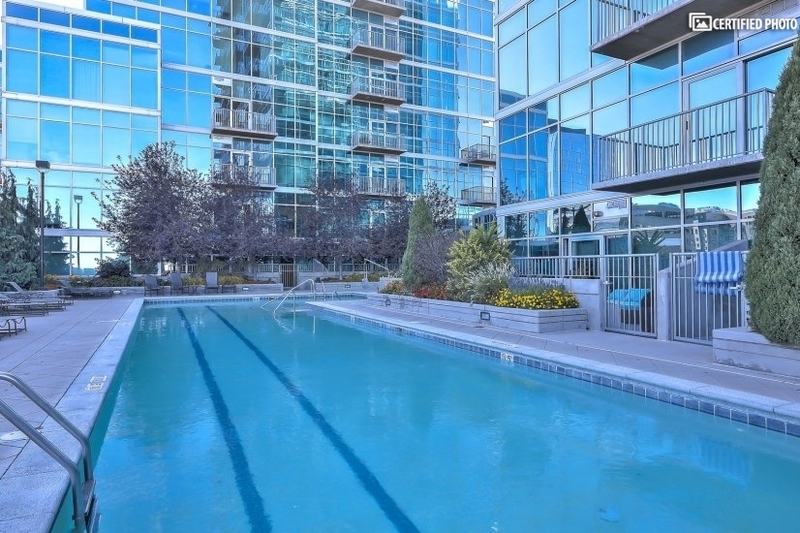 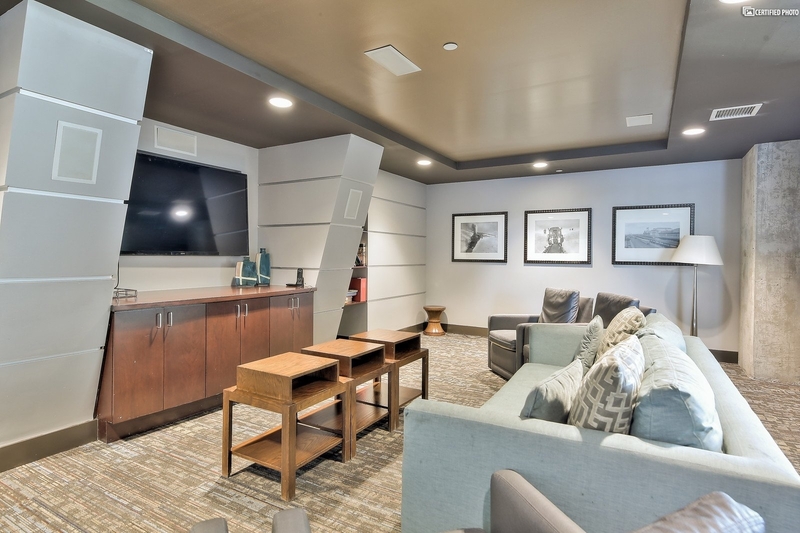 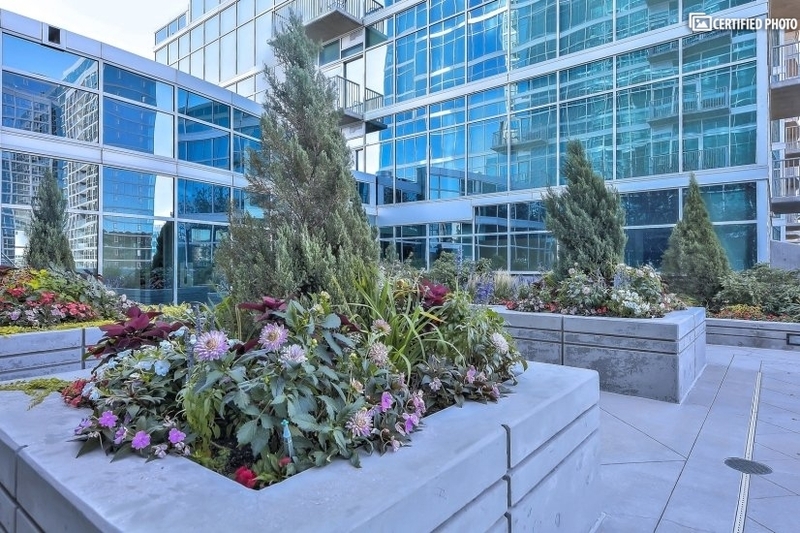 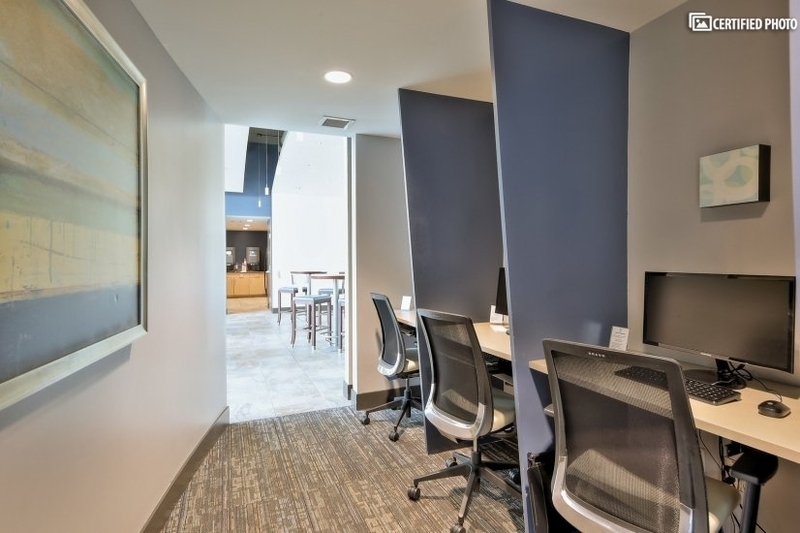 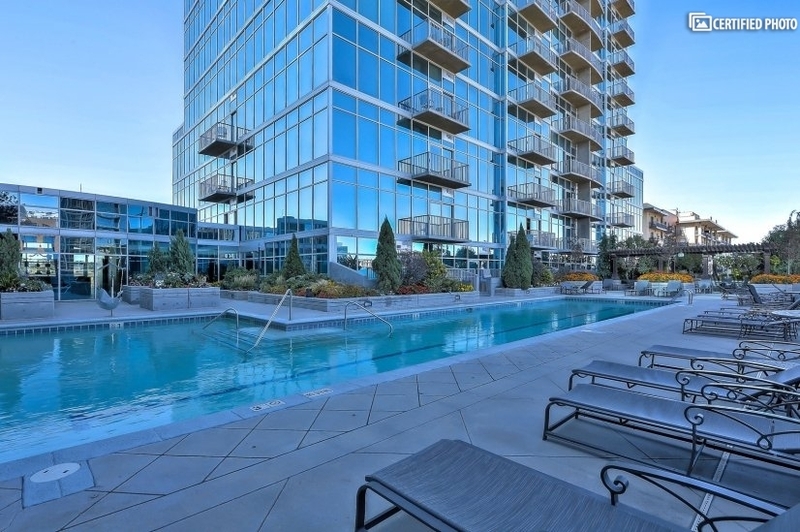 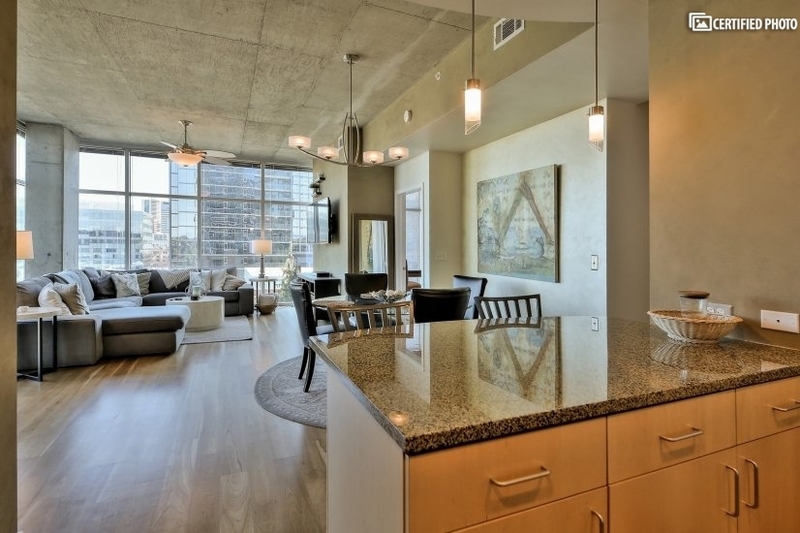 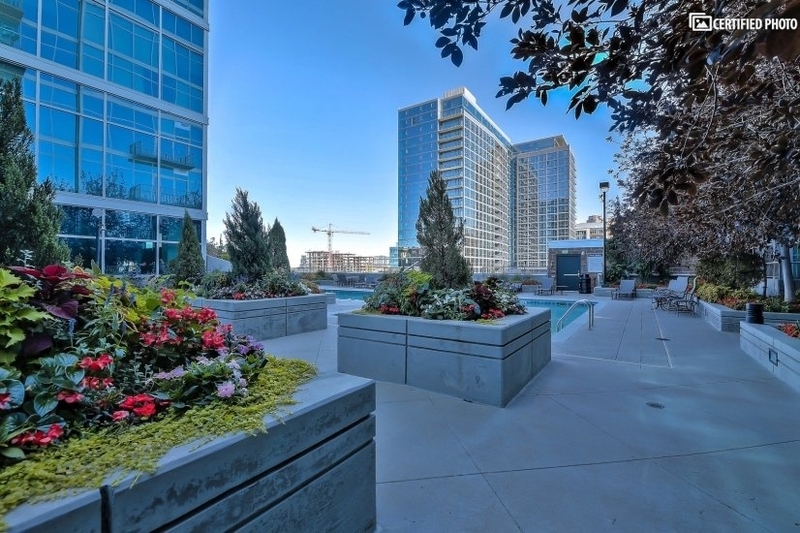 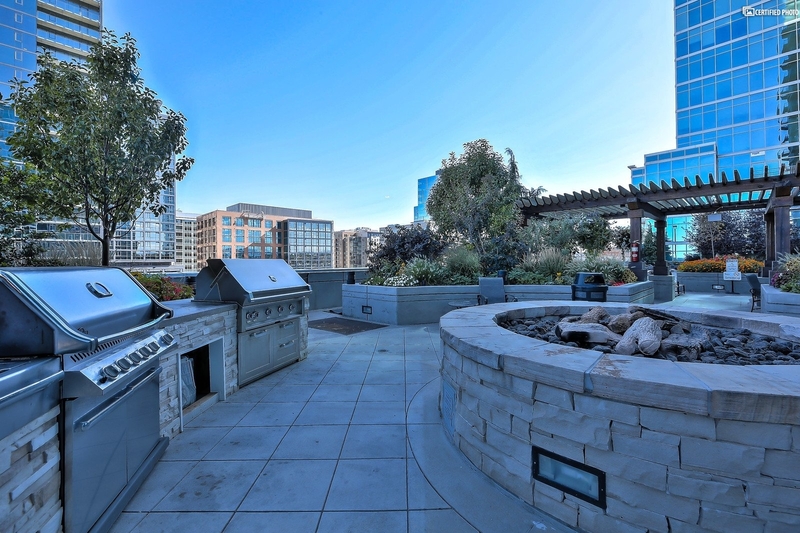 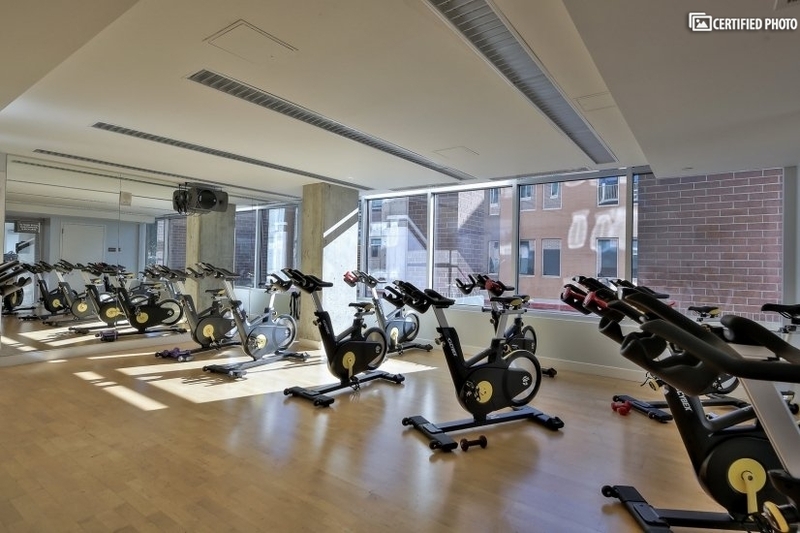 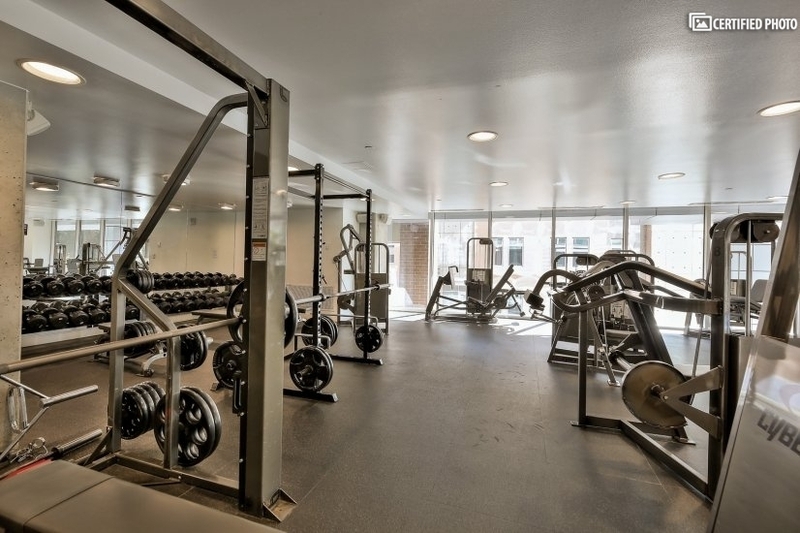 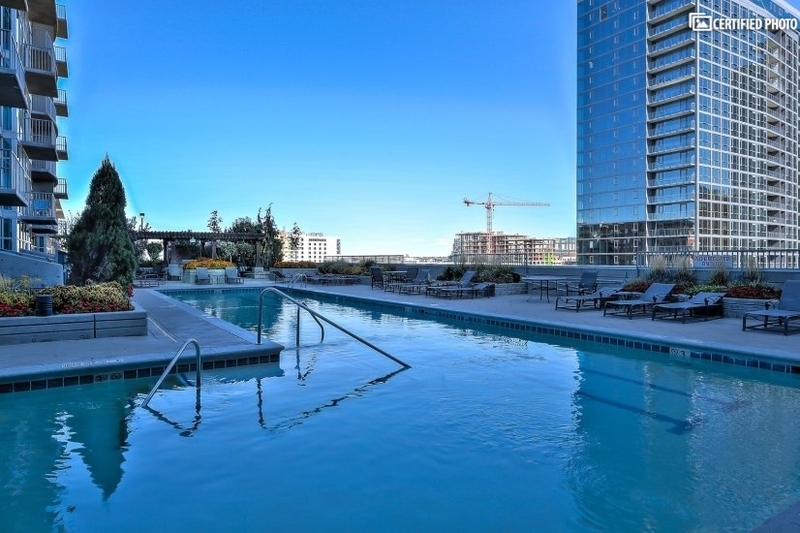 With concierge services, onsite fitness center, parking in the covered garage and fantastic locations, this downtown Denver corporate housing is sure to please.